Are you interested in why people behave the way they do? Through ethnographic research, you can begin to understand how a group of people see the world around them. 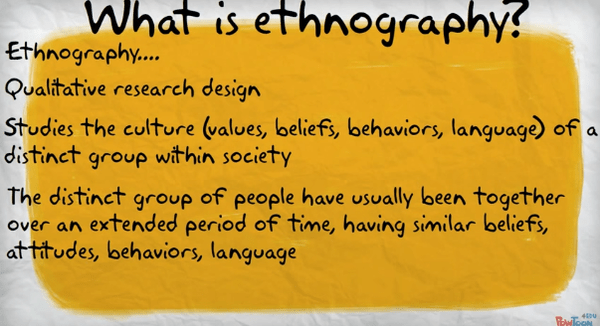 This course is an introduction to ethnography. It will seek to demystify what ethnography is and what value it adds to businesses. This course is suited but not limited to marketing students and professionals. Understand the different methods of Ethnography in contemporary industry. So interesting and educative insight to peoples behavior. More videos of examples of groups studied would beneficial.